Banana and Cardamom may seem like a slightly strange combination, but they truly are a match made in foodie heaven! They’re like those other famous duos, peanut butter and jelly, fries and mayo, marmite and chips, and gherkins and hummus (if you haven’t tried that one yet -do it!!). They’re all slightly quirky, but so amazingly good together they were just meant to be. So, when I got my hands on a pot of Coyo’s Banana, Chia and Cardamom organic coconut yoghurt (and nearly ate it in one sitting), the idea of turning it into nice cream seemed like the perfect idea! As you probably know, nice cream is the name used for any dairy free ice cream alternative, and can take many different forms. The most common two either have a coconut or banana base, to which any number of flavours can be added. As Coyo is already coconut based, my idea was to combine it with frozen bananas to create the ultimate banana coconut nice cream. And to my delight, this idea turned out perfectly! This recipe can be as simple or complex as you like. To keep it super simple all you need to do is blend coyo with frozen bananas, then allow it to set in the freezer for a couple of hours. To get a bit more fancy you could add extra cardamom, vanilla, chocolate chips, raspberries, or even pure maple syrup for the ultimate indulgence! 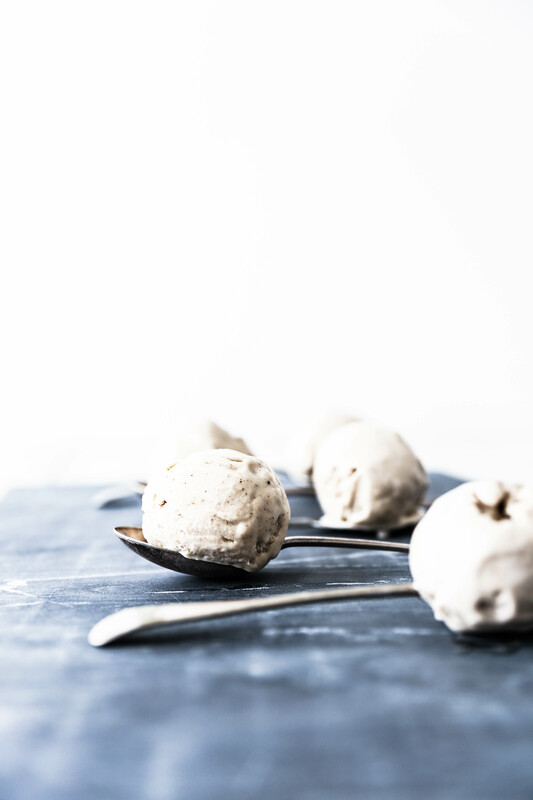 The flavour possibilities really are endless, as are the ways to serve this nice cream, and I’ll leave that part up to you! I’ve given a few suggestions under the recipe below. Of course, this nice cream is dairy and gluten free, completely raw and plant based, annnnd best of it it’s very low in sugars because Coyo is only sweetened by bananas! 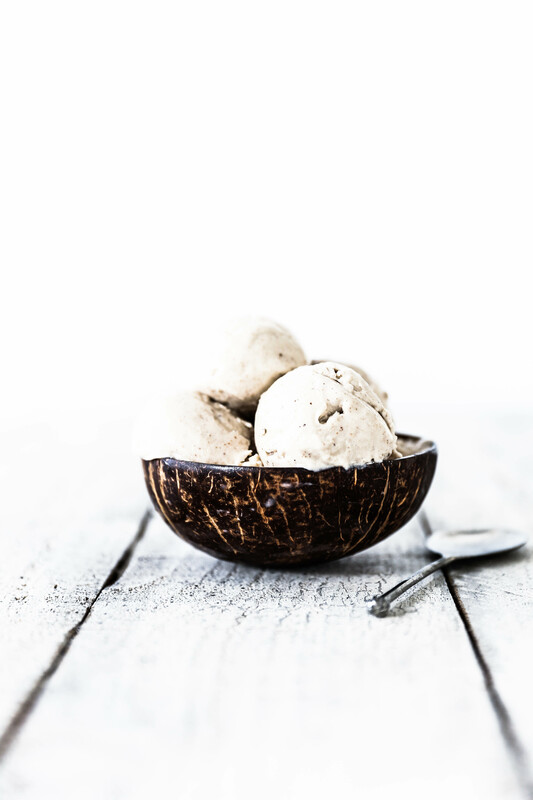 This ice cream is full of fibre from the bananas and probiotics from the coconut yoghurt. It’s sounding rather like the perfect healthy dessert, don’t you think?! 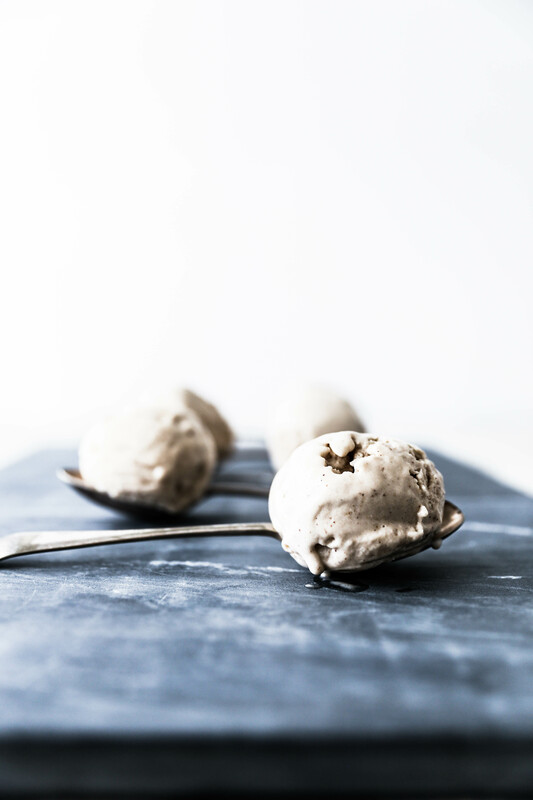 If you make this banana cardamom coconut yoghurt ice cream, I’d love to hear from you! Leave me a comment below and tell me what your favourite flavour combo is and how you like to serve it. Enjoy! Prep ahead by peeling your bananas and placing in the freezer for a minimum of 2 hours, or ideally overnight, until frozen. Place all the ingredients into a high speed blender and blend until just smooth. You want the mix to remain thick and stay as frozen as possible. Transfer the ice cream to a freezer-proof container and place in the freezer to chill for at least 2 hours, or ideally overnight. When the ice cream is firm and scoopable. it’s ready to serve. 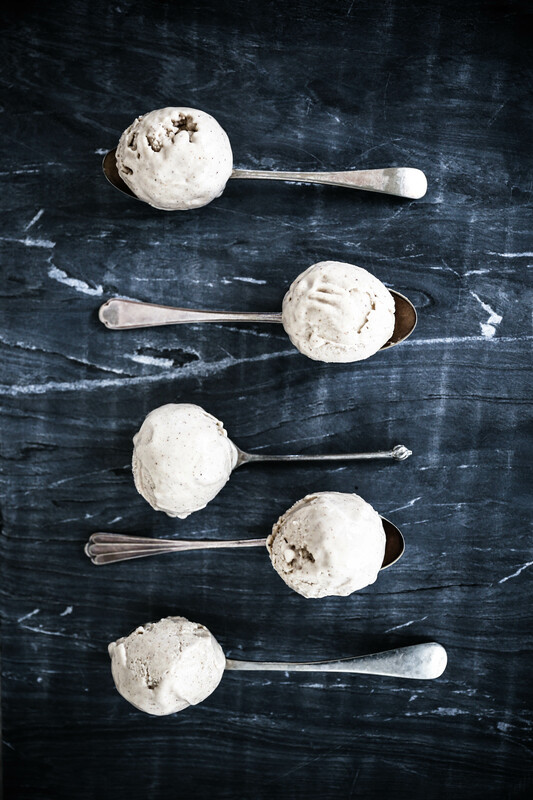 Use a warm ice cream scoop to scoop the ice cream into balls and serve with your favourite accompaniments.